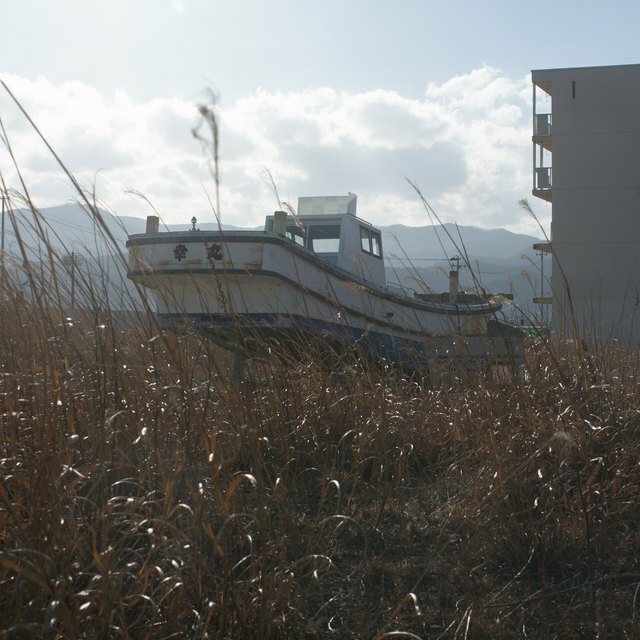 What Happens After a Tsunami Occurs? Prior to 2009, most earthquakes in the U.S. occurred in California. But since 2009, towns and cities across the central and eastern United States saw a dramatic rise in seismic activity, earthquakes and sinkholes. The U.S. Geological Survey earthquake hazards program cites that beginning in 1978 through 2008, the central and eastern parts of the U.S. experienced 844 earthquakes magnitude 3 and greater. During the period from 2009 to 2013, that rate jumped to 2,897 earthquakes – a 343 percent increase – and it keeps rising. In 2014 alone, more than 659 M3 plus earthquakes were recorded. The question that begs answering is why the sudden increase in earthquakes and sinkhole development. Are these earthquakes natural or man-made? In August of 2012, after months of mysterious seismic activity and baffling bubbling on the Louisiana Bayou, a massive sinkhole opened near the small town of Bayou Corne, 77 miles west of New Orleans. The 1-acre sinkhole began swallowing trees whole and grew to 34 acres over the course of the next four years. State scientists blamed the Texas Brine Company for causing the sinkhole by drilling too close to the salt dome’s outer edge, resulting in a $48.1-million-dollar settlement with the town’s residents. To analyze the problem, USGS began setting up temporary seismic monitoring stations across the region. This allows the department’s scientists to pinpoint more accurately seismic locations to determine if there is a relationship between mining, fracking and wastewater injections and human-induced earthquakes. The results were so revealing that in 2016, the USGS released its first-ever induced earthquake model which incorporated both natural occurring and man-made earthquake hazards. The USGS minimizes the effects of hydraulic fracking and instead indicates that most human-induced earthquakes result from the injection into the Earth of wastewater derived from oil and gas production mining operations. In operations where mining activities removes gas or oil through fracking, much of the wastewater is inserted back into the same area without causing earthquakes or sinkholes. But in areas where wastewater wells are drilled to receive the byproducts of these mining operations, these fluids are inserted into areas never before drilled, causing an increase in subterranean pressure that often lead to human-induced earthquakes. A study completed in September 2016 by researcher and Arizona State University geophysicist Manoochehr Shirzaei claims that there are ways to mitigate and reduce human-caused earthquakes. 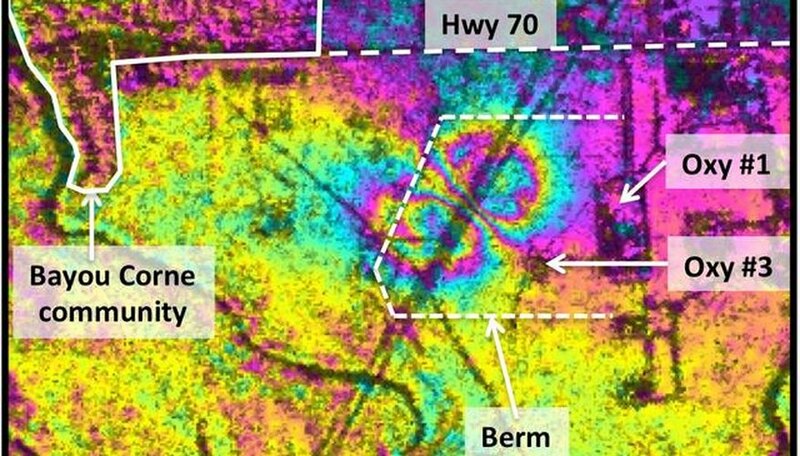 Scientists in the study compared a region near Timpson, Texas – site of a 4.8 magnitude earthquake – with satellite radar images from May 2007 to November 2013 and discovered an uplift in the area from the injection of wastewater into the subterranean rock. Further computer simulations, using the uplifted area, showed that the wastewater seeped away from the injection sites, boosting water pressure and eventually flowing into known earthquake fault zones. The increased pore pressure – the buildup of water in small spaces surrounding subterranean rock – suggested by the computer model was enough to trigger earthquakes 3.5 to 4.5 kilometers beneath the Earth’s surface. The study, published in the Science journal, allows researchers to estimate increased underground pressure during wastewater injection, allowing mining companies to stop injecting more fluids into the Earth before the pressure reaches a dangerous stage. The Environmental Protection Agency and state environmental departments serve as the watch guard for hydraulic fracking, wastewater injection wells and oil and gas mining operations. The purpose of these organization is to regulate permitting, construction and operation, as well as the closure, of injection wells created during hydraulic fracking and gas and oil production. In addition to these regulations, the EPA has authority to regulate hydraulic fracking that uses diesel fuels in the process. The regulations serve to protect natural water resources underground. One drawback: the EPA does not regulate gas or oil wells solely used for production. Just prior to the Bayou Corne’s sinkhole collapse in 2012, a review of NASA radar imaging showed that region of Louisiana had the potential for a sinkhole to develop. The images of the area collected by NASA’s C-20A jet and Airborne Vehicle Synthetic Aperture Radar measures and detects abnormalities in the Earth’s surface. When NASA researchers Cathleen Jones and Ron Blom – of the Jet Propulsion NASA lab in Pasadena – reviewed the images, they realized the data showed the impending collapse of the Bayou Corne sinkhole a month in advance of the event. The area first bulged upwards of 10.2 inches just prior to the collapse. ASU geophysicist Manoochehr Shirzaei used similar data to reach his conclusions for the area surrounding Timpson, Texas. History and facts show that careless mining practices can impact or destroy an area’s water quality, cause earthquakes or lead to sinkholes. With governmental regulations and continued oversight, advanced radar imagery and a willingness by mining companies to adhere to regulations, mining operations need not be detrimental to the environment, people or their homes. Brenner, Laurie. "What is the Relationship Between Fracking, Sinkholes and Earthquakes?" Sciencing, https://sciencing.com/what-is-the-relationship-between-fracking-sinkholes-and-earthquakes-13400292.html. 24 June 2017.